On this route we’ll explore some of Baja’s finest island scenery off Loreto in Baja California Sur. For 12 days we are overlooked by an enormous and spectacular mountain range, the Sierra de la Giganta; in many places as sheer cliffs hundreds of feet high, it plunges directly into the Gulf. Rust red volcanic rock formations provide intricate caves and arches to explore and canyon lands that beckon the intrepid. The beaches are extraordinarily beautiful with fine soft white sand and many have canyons behind which we can explore on foot. We’ve been running a variant of this trip for, many years. Long a favorite of guides and clients alike. 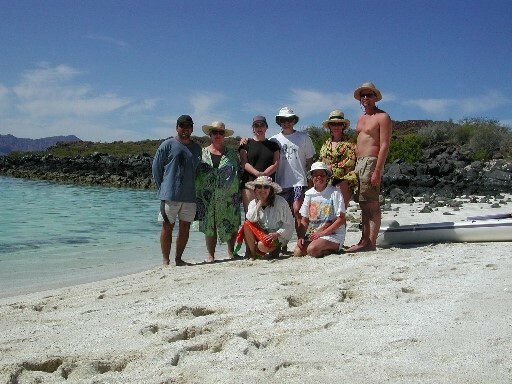 We spend 12 days exploring the sea of Cortez area off of Loreto. This is a relaxed pace trip with only a half day of paddling on most days. On several occasions we will not move camp staying put at a site two nights so you’ll be able to relax at the campsite or explore the surrounding area by kayak or foot. We’ll visit Isla Danzante and Isla Carmen as well as a section of the coast south of Porto Escondido. Depending on conditions we may also go to Coranado island and the coastline north of Loretto. Spectacular white sandy beaches, great snorkeling, stunning mountains. We’ll spend this day circling and exploring Danzante. There will be lots of time to relax, spending 2 nights at the same campsite. Day 10: On Day 10 (weather permitting), we’ll head out very early to make the 3hr crossing over to the extinct Volcano that is Coranado Island. Here we will camp in a stunning secluded white sandy cove across from the old volcano. There is great swimming and beachcombing. Day 11: Today we’ll take a well-deserved day off from moving campsites. There will be opportunities to circumnavigate Coranado Island as well as to climb the peak of the extinct volcano. Day 12: (Thurs April 4). 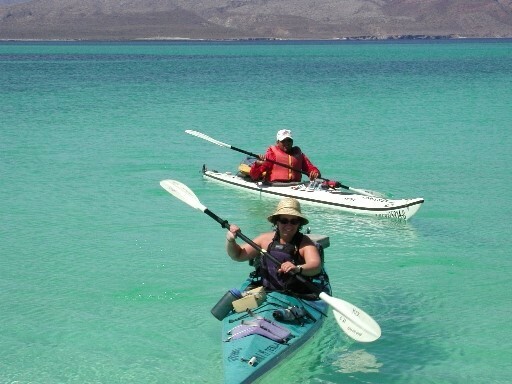 For our last day on the water we’ll make our way south and back to mainland Baja and the town of Loreto. We should paddle into the town just before lunch.